Originally MK only had Samson and I to help support MK Quilts and our customers. Due to the trust and patronage of our customers across the country, we are able to add additional trusted people to our community to better serve you. Diana has been a happy Fusion owner since 2011 and views it as her coolest power tool. 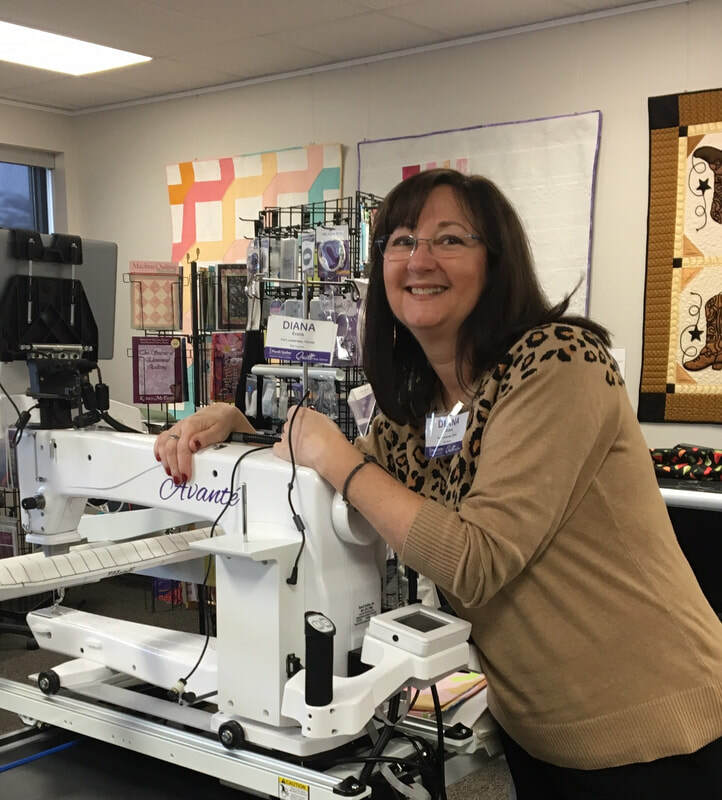 She is an enthusiastic Handi Quilter fan and completely dedicated to providing end to end support to all mid-to-south Florida Handi Quilter owners. Please check out the other profiles on our site of our partners that are working hard to support the community.